Inside Drinks is now available on all devices. Read the new issue here. 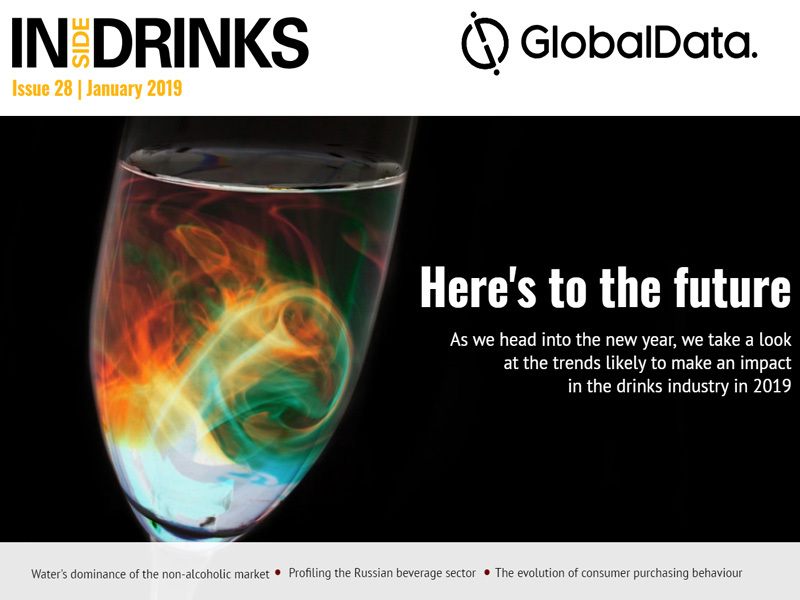 In this issue of Inside Drinks we look at the trends shaping the industry for the year ahead, examine how bottled water is topping the non-alcoholic market, and profile Russia’s evolving beverage sector. 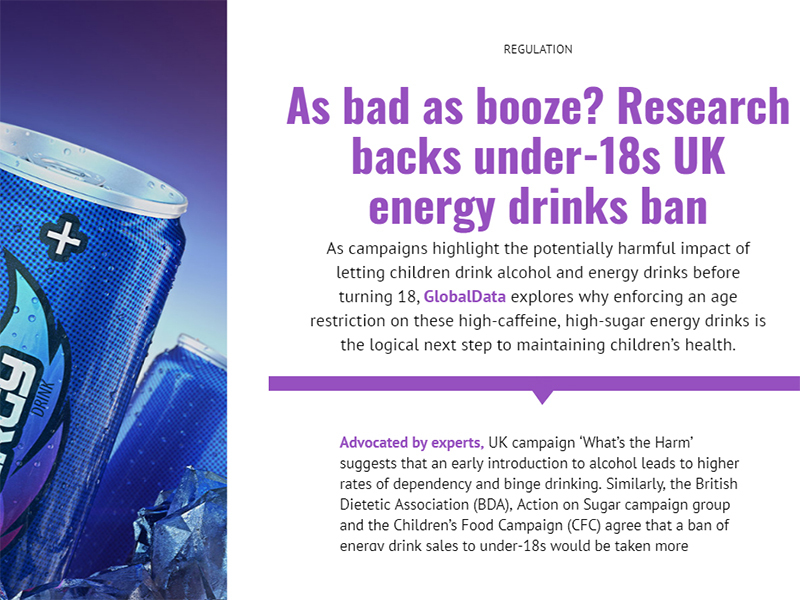 We also look at how brands can best respond to evolutions in consumer behaviour stemming from socio-economic and socio-demographic change, and explore what Coca-Cola’s move to branch out into energy drinks could mean for the market. The industry is ever evolving and with a variety of socio-economic factors shaking up the global market, it can be hard to keep up with everything of note. 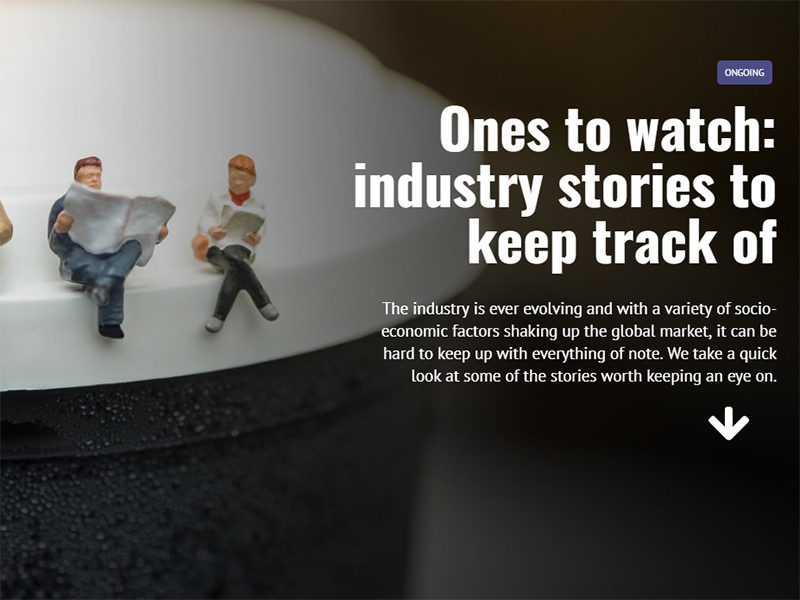 We take a quick look at some of the stories worth keeping an eye on. As some trends fall out of favour, others are gaining popularity. 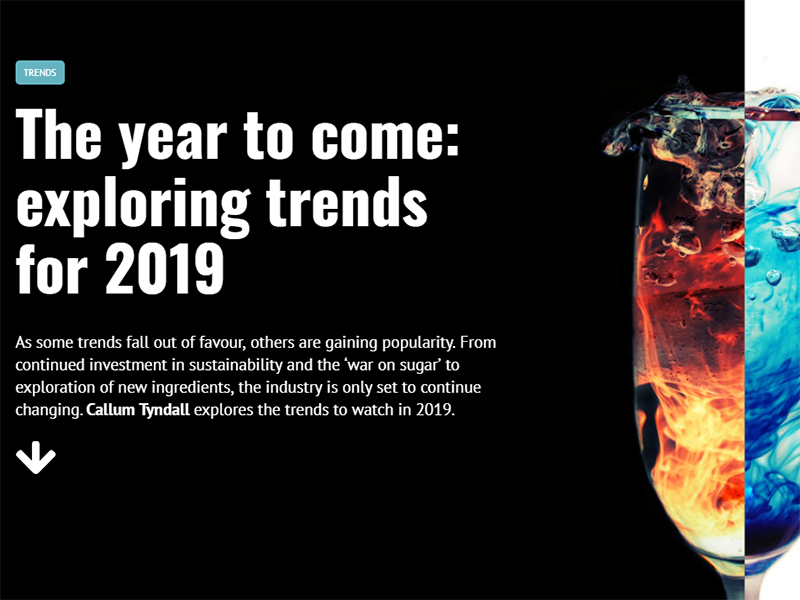 From continued investment in sustainability and the ‘war on sugar’ to exploration of new ingredients, the industry is only set to continue changing. Callum Tyndall explores the trends to watch in 2019. As the health and wellness macro-trend drives consumers to look for non-alcoholic beverages, the market is experiencing a surge of growth. 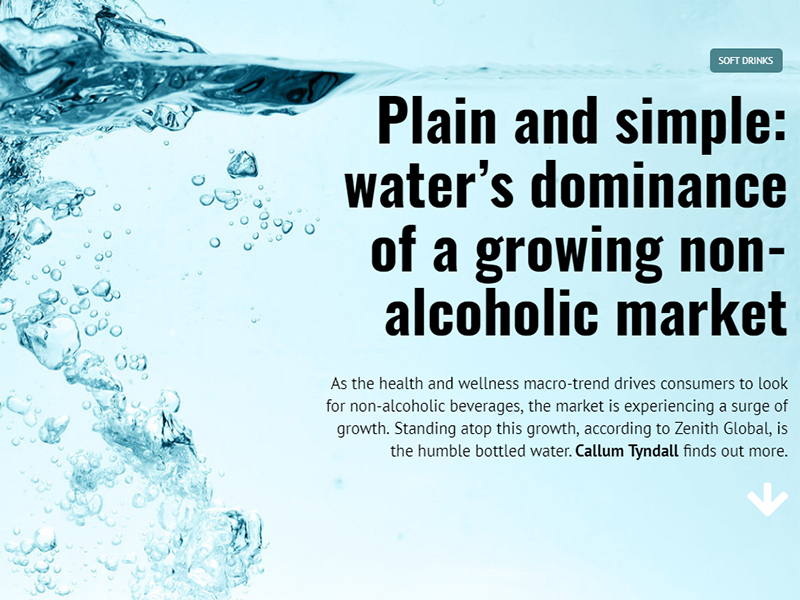 Standing atop this growth, according to Zenith Global, is the humble bottled water. Callum Tyndall finds out more. 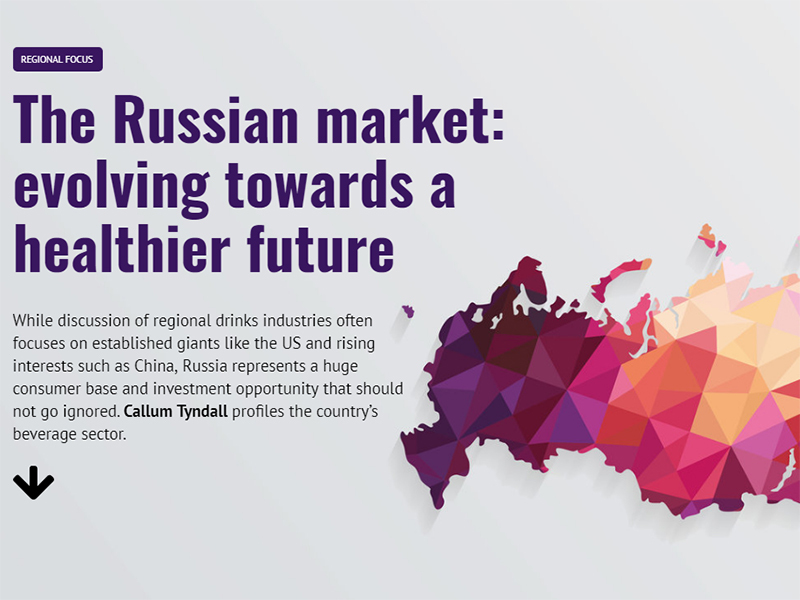 While discussion of regional drinks industries often focuses on established giants like the US and rising interests such as China, Russia represents a huge consumer base and investment opportunity that should not go ignored. Callum Tyndall profiles the country’s beverage sector. 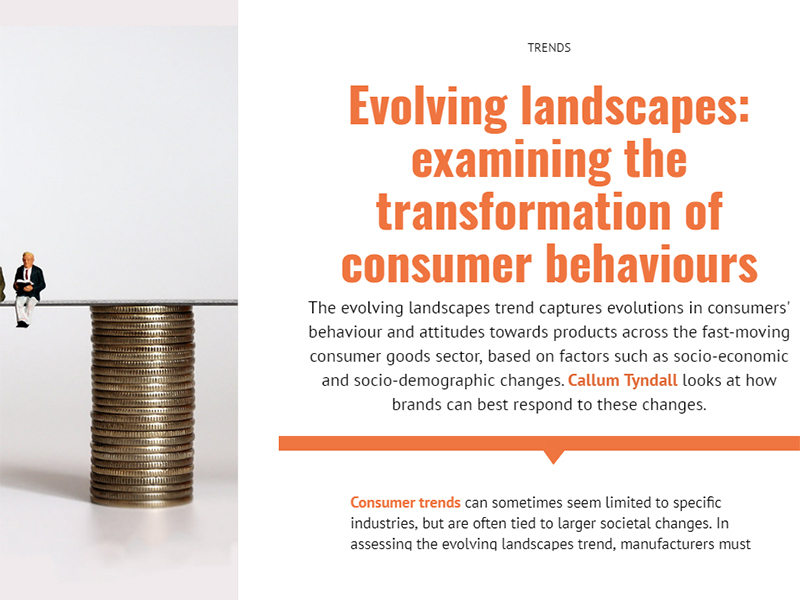 The evolving landscapes trend captures evolutions in consumers’ behaviour and attitudes towards products across the fast-moving consumer goods sector, based on factors such as socio-economic and socio-demographic changes. Callum Tyndall looks at how brands can best respond to these changes. 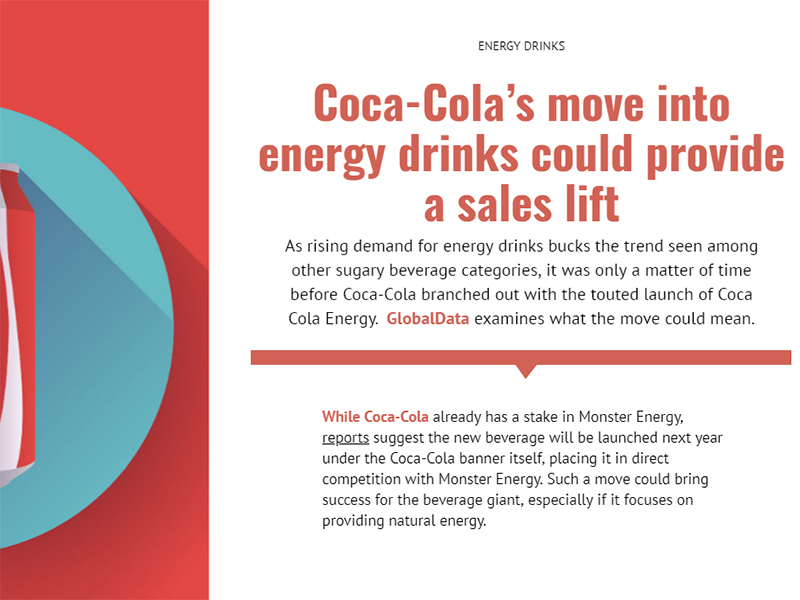 As rising demand for energy drinks bucks the trend seen among other sugary beverage categories, it was only a matter of time before Coca-Cola branched out with the touted launch of Coca Cola Energy. GlobalData examines what the move could mean. 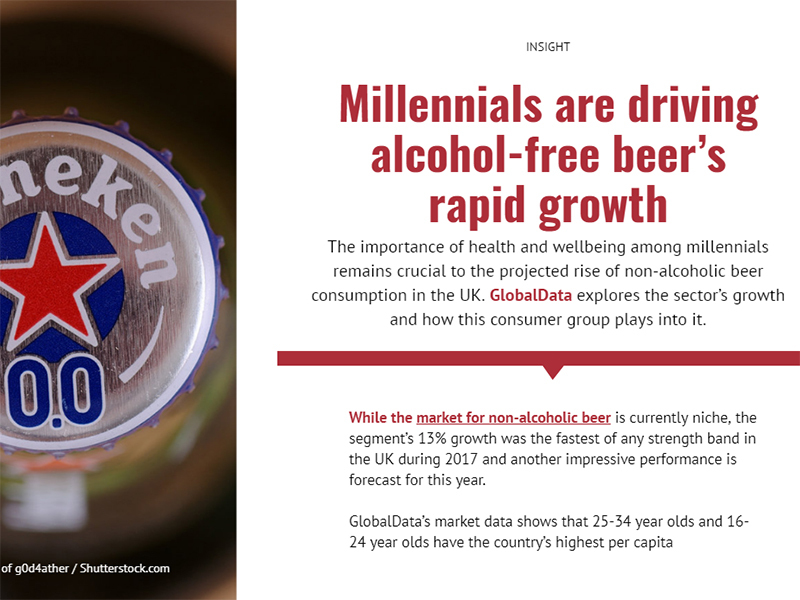 The importance of health and wellbeing among millennials remains crucial to the projected rise of non-alcoholic beer consumption in the UK. GlobalData explores the sector’s growth and how this consumer group plays into it. 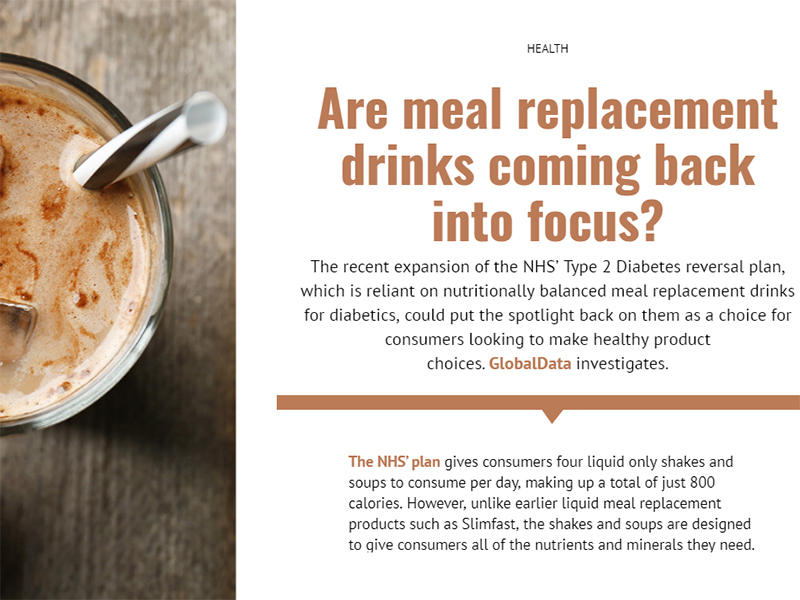 The recent expansion of the NHS’ Type 2 Diabetes reversal plan, which is reliant on nutritionally balanced meal replacement drinks for diabetics, could put the spotlight back on them as a choice for consumers looking to make healthy product choices. GlobalData investigates. In the next issue of Inside Drinks, we look at how the dairy industry is adapting as consumers increasingly move towards milk alternatives, investigate tea’s repositioning as a wellness product, and examine the state of smart technology in the industry.